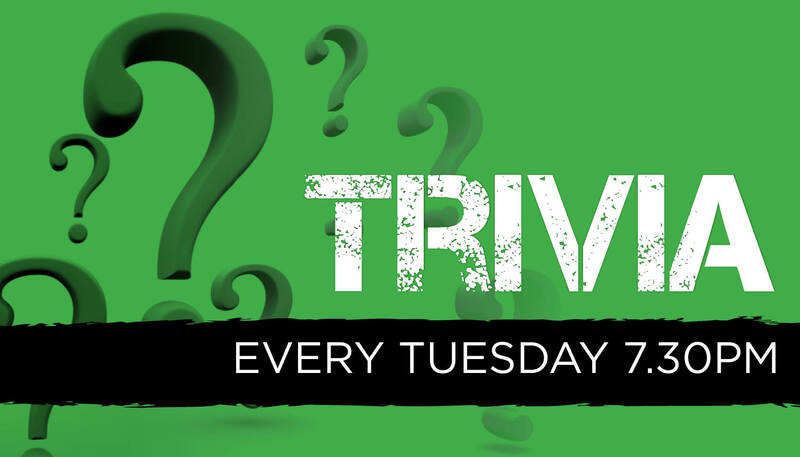 Every Tuesday, our Quizmaster runs a Trivia Competition from 7.30pm in the Knock On Sports Bar. So grab your mates and give it a go. Pens at the ready, voices on the down-low and let’s get quizzical. Prizes to be won!